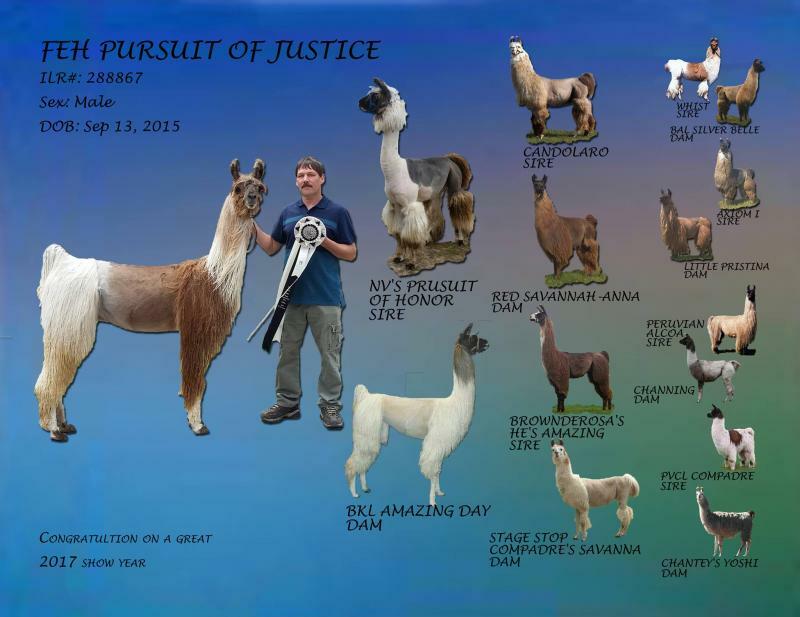 Listed below are the many males that you will find at Fehrenbach Farms. We offer breeding services as well as the sale of animals. 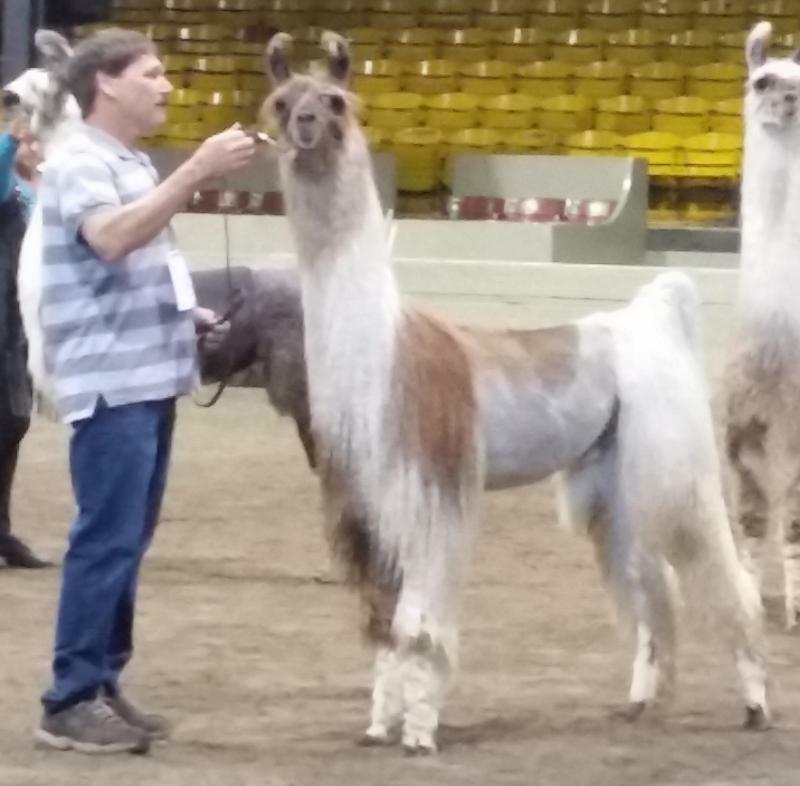 Here at Fehrenbach Farms we strive to raise healthy, sound animals with friendly personalities. 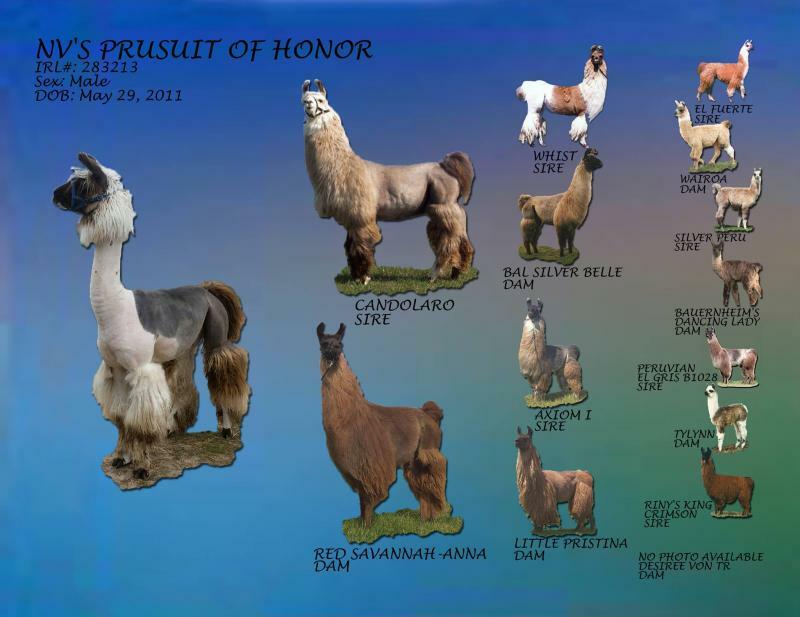 Along with our current breeding males we have listed our upcoming herdsires that are not quite ready. Also, we have listed non breeding males and geldings. 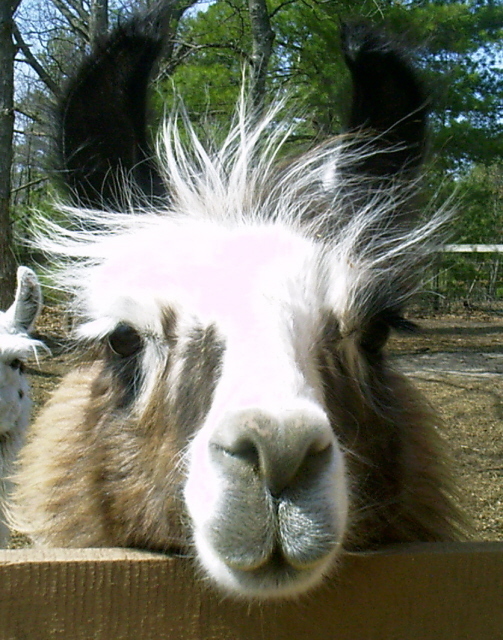 We have animals of all types and for many different purposes. Please contact us for private treaty prices for breedings to our males. Honor is the complete package! He has height, bone density, fiber, and color! He is very much like his sire. 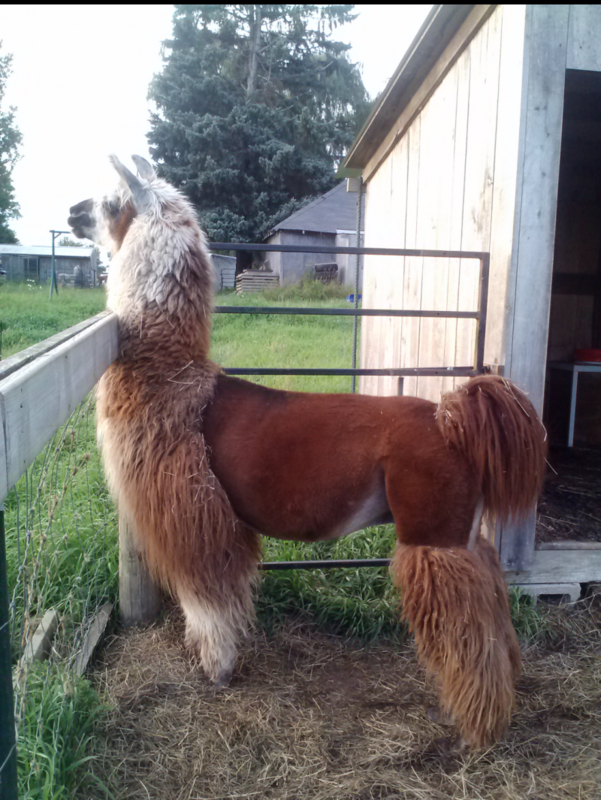 We are expecting his first cria in the fall of 2015. First Cria from Honor was worth waiting for! 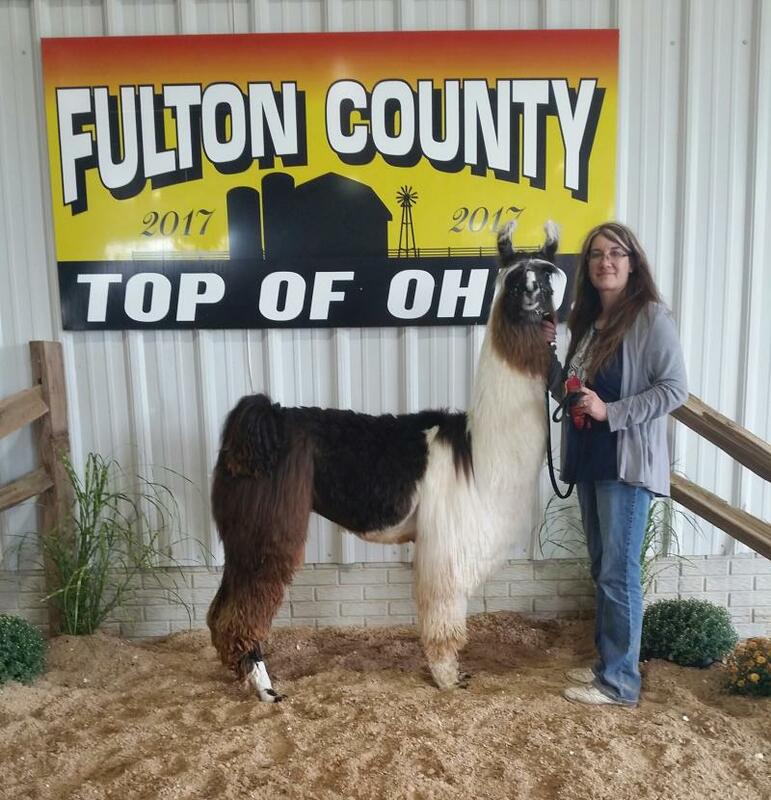 Justice is a very correct young male who earned the title Halter Champion in his first year of showing! Great suri fiber, stretchy, and lots of personality! Whitehouse came to us from Eastfork Ranch in Oregon spring of 2015. He's a quiet, easy going boy who has an amazing pedigree behind him. We are excited to see what he will be able to produce for us in the next few years. Comet is my boy! Anyone who shows with me knows Comet! This is my showmanship guy. He's usually always with me and boy does he love to go to the show! "Rocko" was born March 2008 and has kept us on our toes ever since. 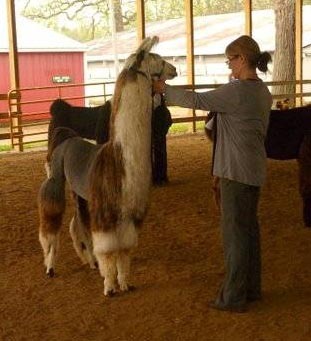 At his first show, Lamafest 2008, Rocko placed third in both his halter class and furturity! 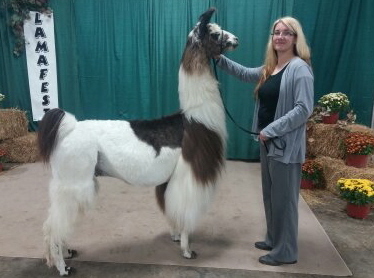 Many comments were made on his correct conformation, wonderful fiber, and striking looks. 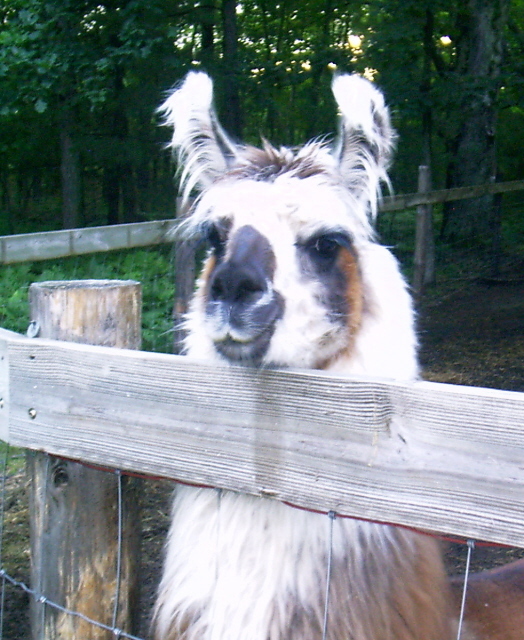 Rocko's sire is Suti from Kent Rock Meadows in Georgia. 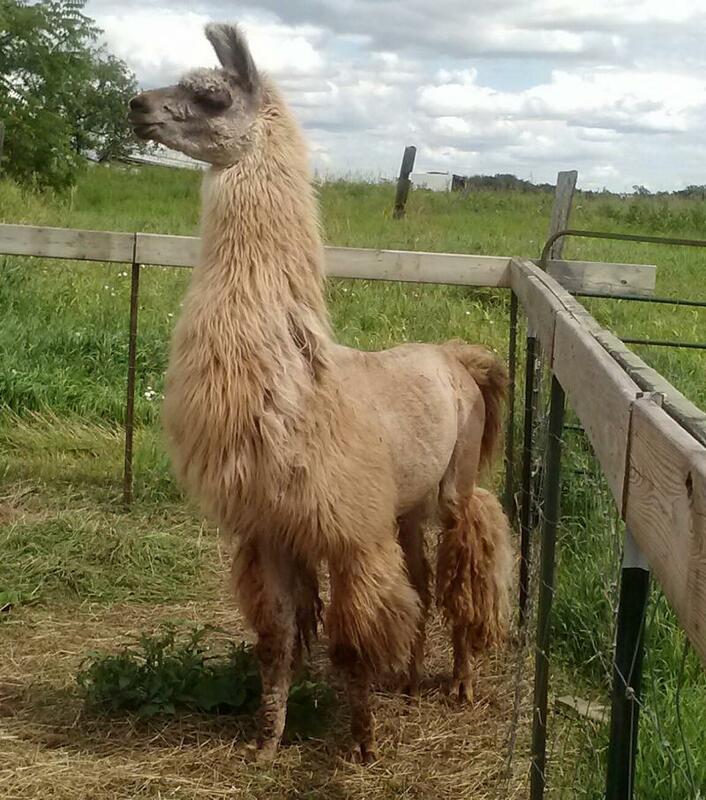 His dam, CCC Peruvian Sweet Carmelina lives here at Fehrenbach Farms. 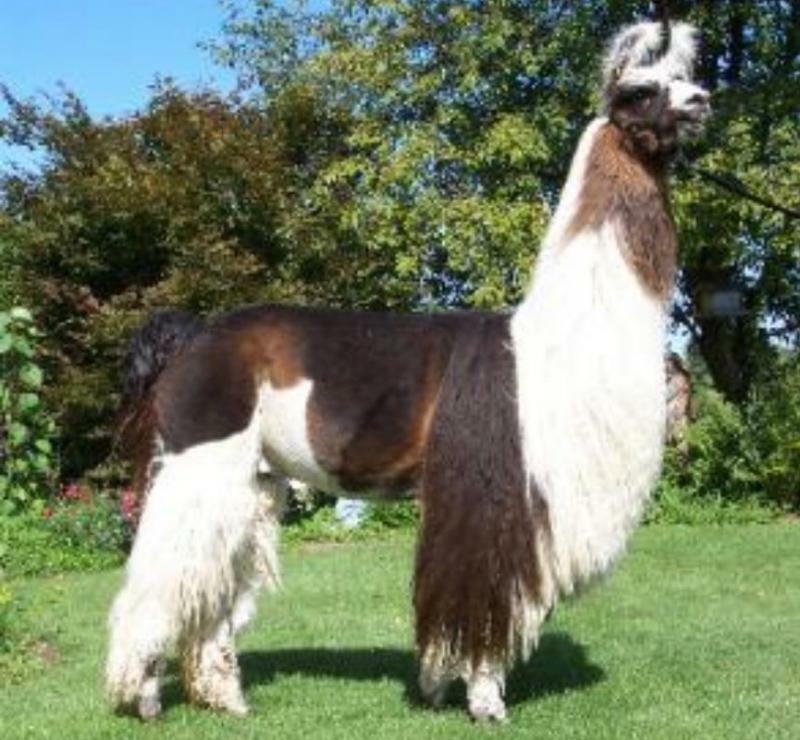 Rocko is a pure Peruvian boy with lots of color and a personality to match. We feel honored to have him here. 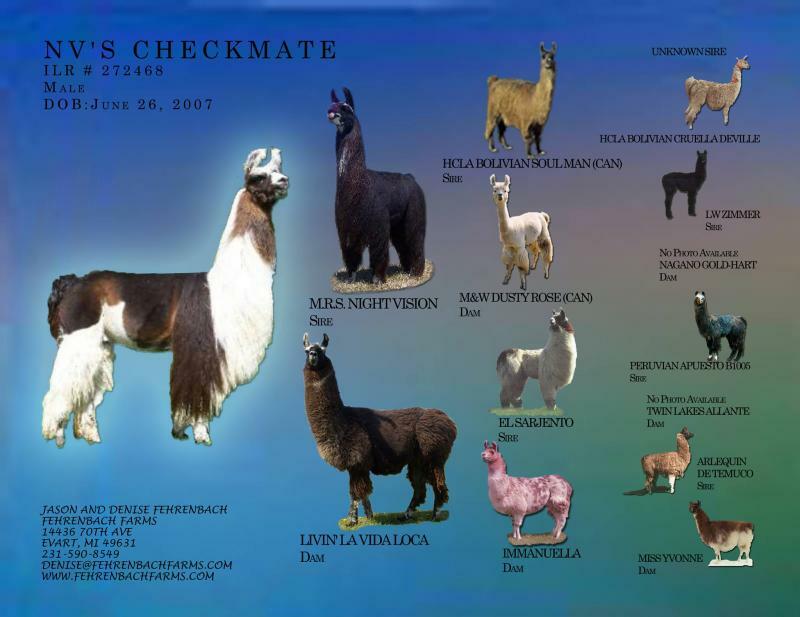 Checkmate joined us in the fall of 2012 from New Venture Suri's. 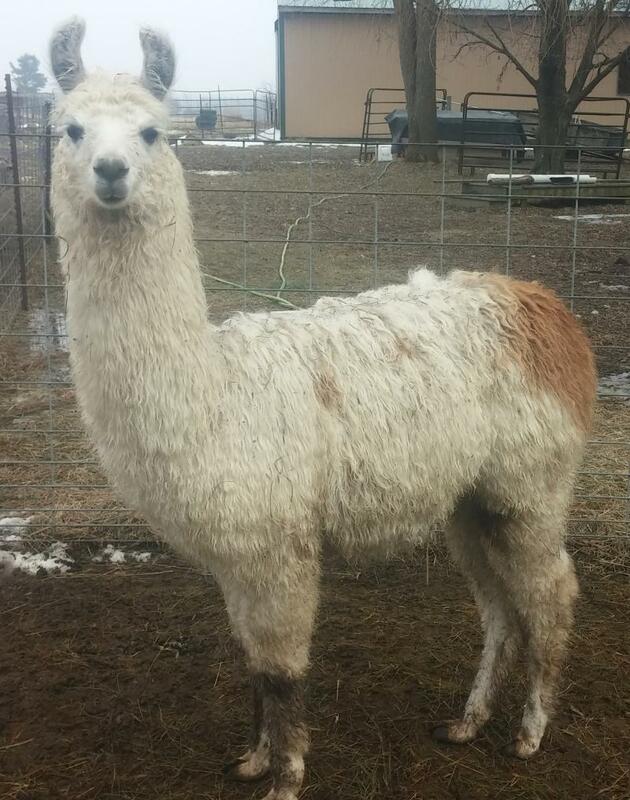 He is well on his way to becoming one of our top herdsires, his first cria are due in the Spring of 2014. Stunning good looks, large bone, and a personality of gold! Charlie is one of my favorite animals! He has got to be one of the laid back animals I have ever met. Sweet as the day is long! He looks so much like his sire at the same age! 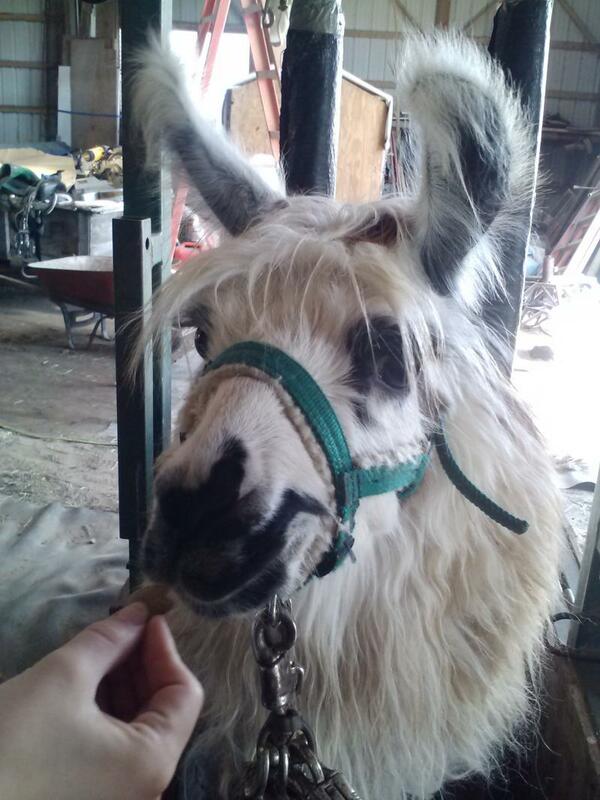 Miles is a friendly boy who is full Peruvian! He has fine suri fiber that is very soft! "Duke" has been a blast since the day he arrived! Sassy and full of pizazz! 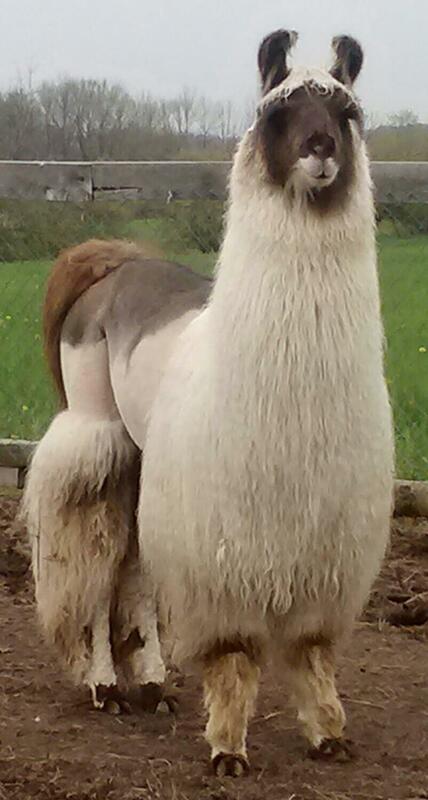 Fabulous fiber, lage bone, a future herdsire! 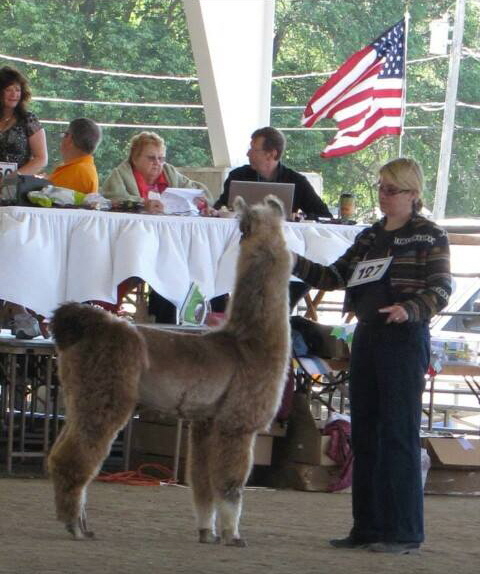 Here he is as Reserve Champion at Lamafest 2014. Talk about SILKY !!! this guy has it all! Always a gentleman, but loves a good frolick! Booge is a farm favorite! Working in performance. Such a sweet heart! Son of Night Vision, Booge is expected to do great things to continue his sires legacy. Here is Lexi's pride and joy! Attila is a yearling in the picture, but a pretty big boy! Very similar to his full brother FEH Haywire. 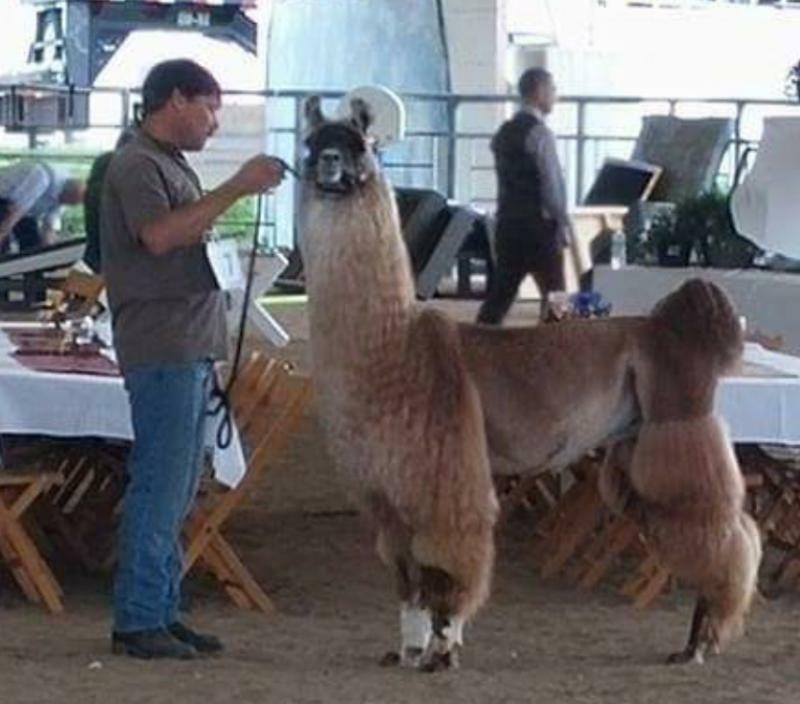 Attila loves people and has done well in the show ring. 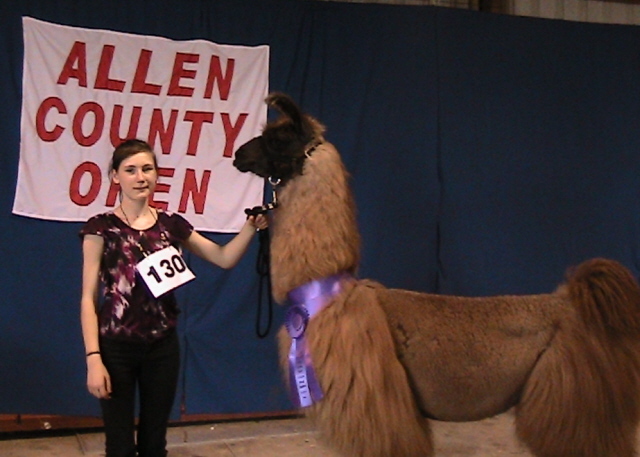 2012 Allen County Grand Champion non-breeder, 2012 Northwestern Michigan Llama Show Grand Champion non-breeder. A spinners dream! Heavy wool, next-to-skin-soft! Rasputin is a very laid back gelding, never a problem, a quiet soul. Named for the white "sickle" on the right side of his face, He reminds me so much of his sire, Chocolate.